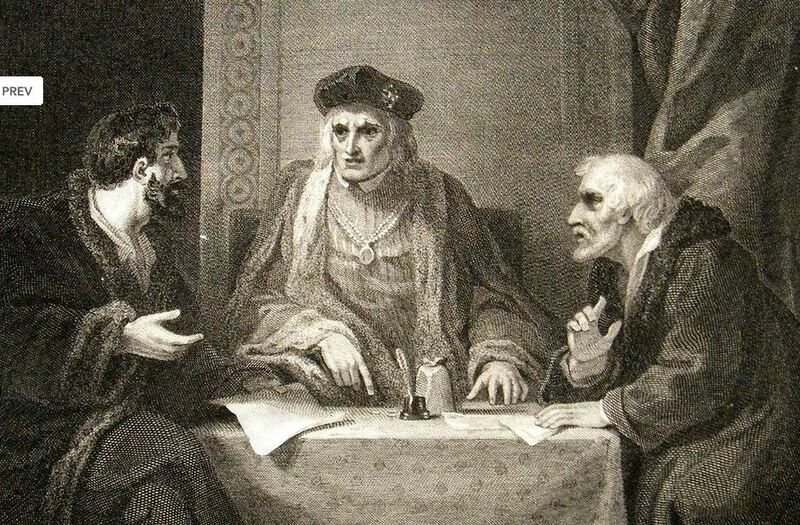 If there is one thing a lot of people know about Henry VII—apart from his dastardly defeat of Richard III at Bosworth in August 1485—it is that the latter part of his reign was a dreadful time for England. His avarice became almost oxygen to him, and he allowed his ministers to inflict truly dreadful punishments and fines upon his subjects. The infamous Morton’s Fork was one of Henry’s weapons. John Morton was Henry’s Archbishop of Canterbury, and Chancellor, who devised a tax collecting jolly that declared a man who lived within his means had to be saving money and should therefore be able to afford high taxes. Unfortunately, the jolly also decided that if a man was living well, he was obviously rich and thus could still afford diabolical taxes. People were scuppered either way. 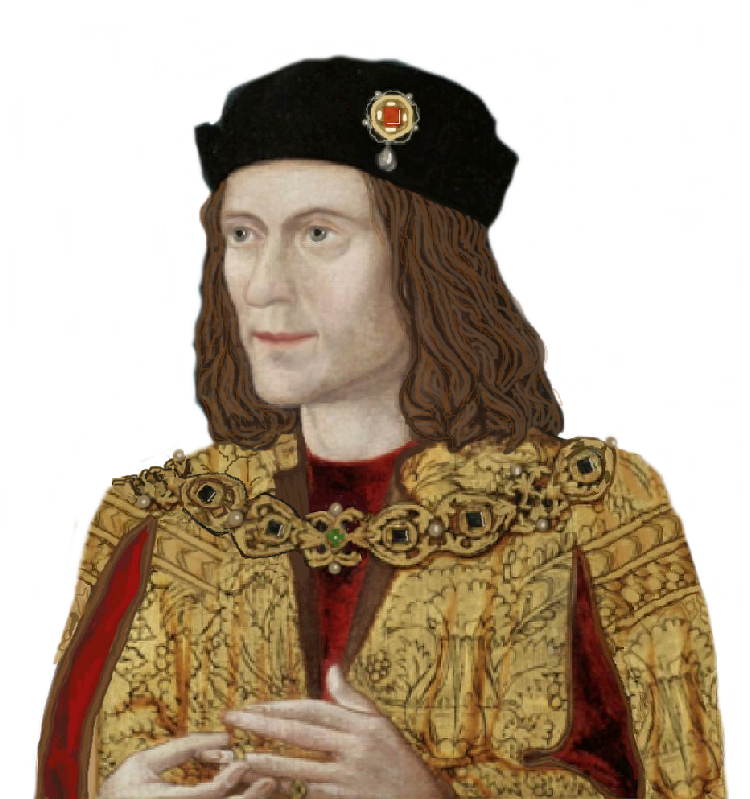 Supporters of Richard III loathe Morton for another reason, and that is his fiendish plotting and treachery that helped to bring Richard down. Altogether an unpleasant man, I think. Two other names crop up constantly when it comes to Henry’s intolerable money-grubbing, and they are Edmund Dudley and Richard Empson, who are with him in the illustration above. Their names became synonymous with royal thievery and extortion, and Henry let them get on with it more or less how they pleased. And how they pleased! However, much as they’re associated with Henry, I do not know exactly when they caught his attention as likely blood-suckers. It is suggested that Edmund Dudley appeared at his side in 1485, which would presumably be in the latter quarter of that year, after Bosworth. Unless he came over to England with Henry, having been with him in Brittany or France? That I do not know. I do know that Dudley was believed to be only about 23 when he became one of Henry’s privy councillors. Richard Empson’s association with Henry began . . . when, I do not know. He is also in the above picture. He was older than Dudley, a lawyer, and rose to be Speaker of the House of Commons. Both men were executed on Tower Hill on 17th August 1510, courtesy of Henry VIII. And a good job too. If anyone knows more about how and when they became so close to Henry VII, I would love to know. 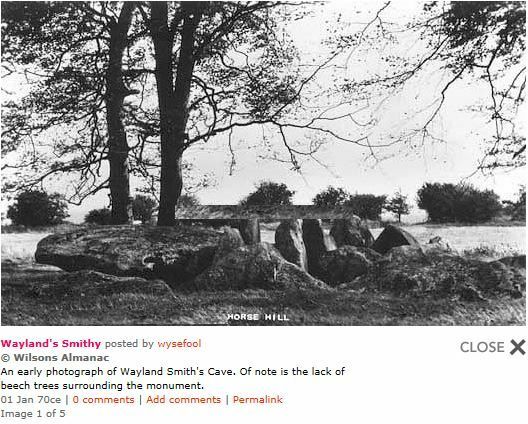 As you can see above, the colour photograph shows Wayland’s Smithy as it is now, whereas the others show it before it was ‘restored’ in 1962/3. Wayland Smith . . .
No, not a real man, a character from a book or anything else of an organic nature. Wayland Smith is the name by which the prehistoric monument now called Wayland’s Smithy used to be known. It still means the same, of course, the smith/smithy of Wayland (a Norse smith god). But it looks odd to modern eyes. Recent research for a novel has led me to investigate this famous site on the Downs of Oxfordshire (although the area was in Berkshire until the moving of county boundaries by the Local Government Act of 1972). Two of the characters I am writing about lived at the foot of the Downs escarpment, directly below Wayland’s Smithy, and so I thought I might be able to introduce the monument to the story. 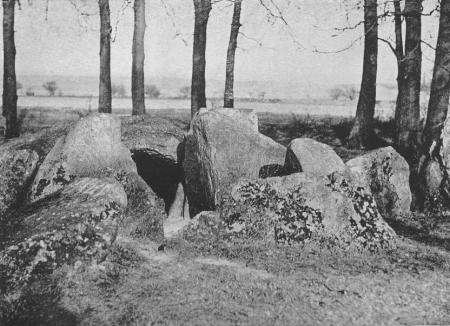 Wayland’s Smithy stands on the Ridgeway, an ancient track way that led from The Wash in Norfolk to the coast of Dorset, and has been in use for at least 5,000 years. Eerie, isolated and sheltering behind a screen of tall beech trees, it presents a sight that is mysterious to our 21st-century eyes, and probably to those of long-past centuries as well. Built in two phases, the second on top of the first, it has a long mound over 40 metres wide, stretching back for more than 50 metres. There were once six great upright sarsen stones, three on either side of the entrance, but now there are only four sarsens left. No one knows what happened to the other two. The remaining four had collapsed over the centuries, and were re-erected when the barrow was investigated, renovated and rebuilt in its present form in the early 1960s. 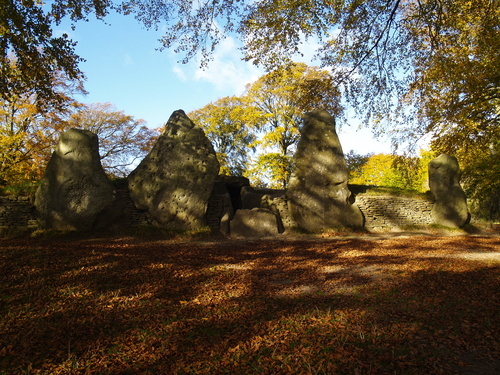 Before then, moss-covered and half-buried (see the pictures above), the great stones were a shadow of their former selves, sometimes apparently surrounded by beech trees (as now) but at other times open to the exposed scenery all around. 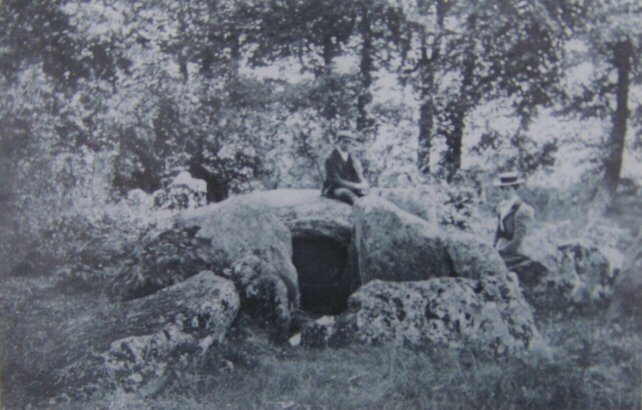 Whether there were trees originally, I do not know, but the yawning entrance—the ‘cave’—was visible before and after restoration, and much is known about what lay inside, burials, artefacts and so on. The purpose of the barrow is not known for certain, but it was probably simply a burial site. But was that all? And who was buried there? 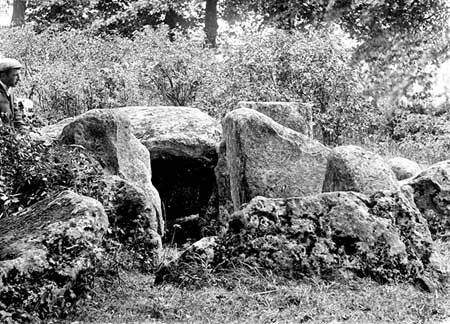 Wayland’s Smithy still exerts a power over us, a mysterious link to the pagan past, and no one who goes there today would be unaware of this. The atmosphere reaches out and settles around the walker or sightseer. Do they all shiver a little? Or simply put on a brave face and refuse to think about old gods and the primitive past from which we have all descended? 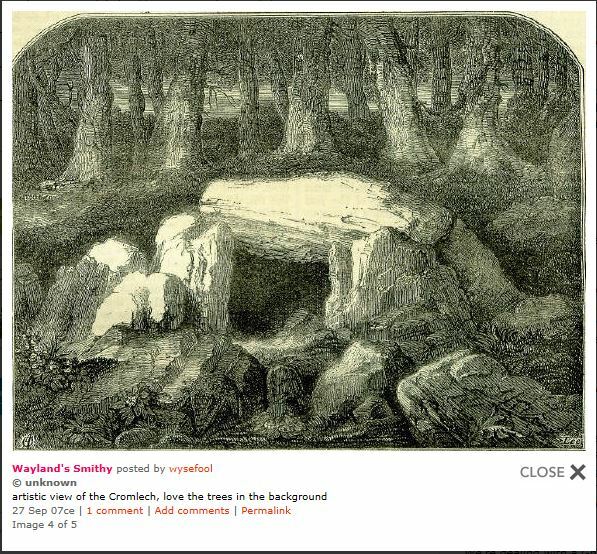 How long ago was Wayland’s Smithy finally abandoned by pagans? If, indeed, it has been abandoned at all. My research centred upon the 15th century, of course, but I have not been able to find out what condition the Smithy was in then. Were all six sarsens still there? Was it lost among trees and bushes? Did it stand starkly on the edge of the escarpment? Was it dreaded by those who hurried past along the Ridgeway? Would anyone dare to go near it on the night of a full moon? At Hallowtide? At midnight, or at dawn? Might Woden and the Wild Hunt come after them? It must have instilled fear in medieval people, who were so dependent on and influenced by the Church. So, what would my characters have felt and thought about Wayland Smith, as it was in their time? This lady, although the only sister of Richard, Duke of York, is arguably the least-known of all the members of the House of York who managed to grow up. Therefore a few notes about here are perhaps not out of place. 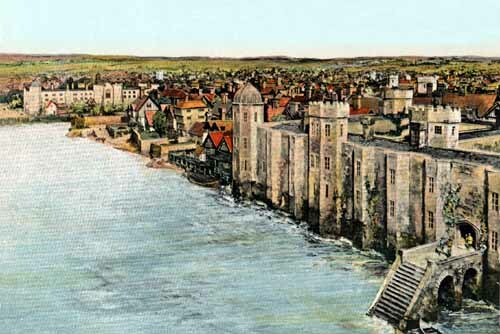 Isabel was of course the daughter of Richard of Conisbrough and Anne Mortimer and appears to have been born in the early years of their marriage, round about 1408 or 1409. (This assumes they didn’t consummate their marriage until it was legitimised (1408). Since the detail of how they married, and when, is shrouded in mystery, it’s possible Isabel was a little older.) She was ‘married’ to Thomas Grey of Heton in 1412 as part of what appears to have been a deal to transfer the Lordship of Tyndale (then the property of Edward, Duke of York, her uncle) to Grey’s father. Due to the treasonable conspiracy of Richard of Conisbrough, Earl of Cambridge and the elder Grey (the Southampton Plot) this (marriage) arrangement was dissolved and Isabel was instead married (circa 1430) to Henry Bourchier, Earl (or Count) of Eu and later Earl of Essex. William, who married Anne Woodville (or Wydeville or Widville). She was (need I say?) the sister of Queen Elizabeth Woodville. He died in April 1483. His son, also William, succeeded as Earl of Essex and lived long enough to serve at Anne Boleyn’s coronation. Henry, who married Elizabeth Scales, an heiress. After he died in August 1458 she married the well-known Anthony Woodville/Wydeville/Widville, later Earl Rivers. Humphrey, who married Joan Stanhope, and was styled Baron Cromwell in her right. He was killed at the Battle of Barnet (1471) fighting for the Yorkists. Joan remarried, Sir Robert Radcliffe. John, who married Elizabeth Ferrers of Groby and in her right assumed the title Lord Ferrers of Groby, though never summoned to parliament. He had a ‘prolonged’ law suit with Elizabeth Woodville over the Groby lands. His second wife was Elizabeth Chicheley of Cambridgeshire. He died 1495. Thomas married Isabelle Barre, widow of Henry Stafford of Southwick the (Yorkist) Earl of Devon. After her death (1489) he married Anne, widow of Sir John Sulyard. He was Constable of Leeds (Kent) and was on a commission to investigate treason in Kent in December 1483. He died in 1491. Isabel, the only daughter. Died apparently unmarried. Isabel herself died in 1484, during Richard III’s reign. She was therefore in her early seventies, and so unusually long-lived for a member of the York family, even allowing for the tendency of the York males to have their lives cut short by violence. (In fact the only adult males of the House of York to die in their beds were Edmund of Langley and Edward IV. The rest either died in battle or were executed!) Isabel would certainly have had some interesting tales to tell about her days and it’s a pity that no roving reporter was around to interview her. That sounds like a real tyrant to me. Shakespeare’s “Richard III” being filmed at Leeds Castle…. 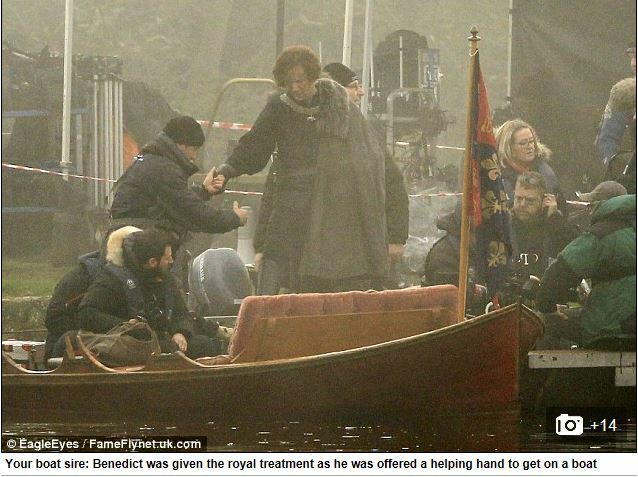 Here is a link to a Daily Mail article (28th November 2014) about the filming of “Richard III” for the BBC2’s forthcoming TV series “The Hollow Crown”, which is based on Shakespeare’s history plays. Benedict Cumberbatch is Richard, and the filming is at Leeds Castle in Kent. The article contains a number of interesting pictures. Today is the annniversary of the death in 1416 of Constance of York, Lady Despenser and (for a time) Countess of Gloucester. She was one of many people of various conditions in life who inexplicably preferred the ‘tyranny’ of Richard II to the rule of Henry IV, and put their lives at risk to do something about it. She survived to die in her bed because a) she was a woman (or rather a lady) and b) the King’s cousin. The Plantagenets did not execute women for political reasons. It is also the anniversary of the death of Edward, Earl of Warwick, the last legitimate male Plantagenet. Born in 1475, he was imprisoned from the age of ten, executed at Tower Hill in 1499 for an ostensible plot with the mysterious youth known as “Perkin Warbeck”. “Perkin” and Edward’s cousin John of Gloucester, were also executed that month, allowing Prince Arthur to marry Catherine of Aragon. Evidently, these moral scruples were not shared by the “Tudors”. Recently I was in Great Malvern and visited the priory church in the centre of town. It is known for its 15th century stained glass, including the West Window which was commissioned by Richard Duke of Gloucester and his wife Anne. 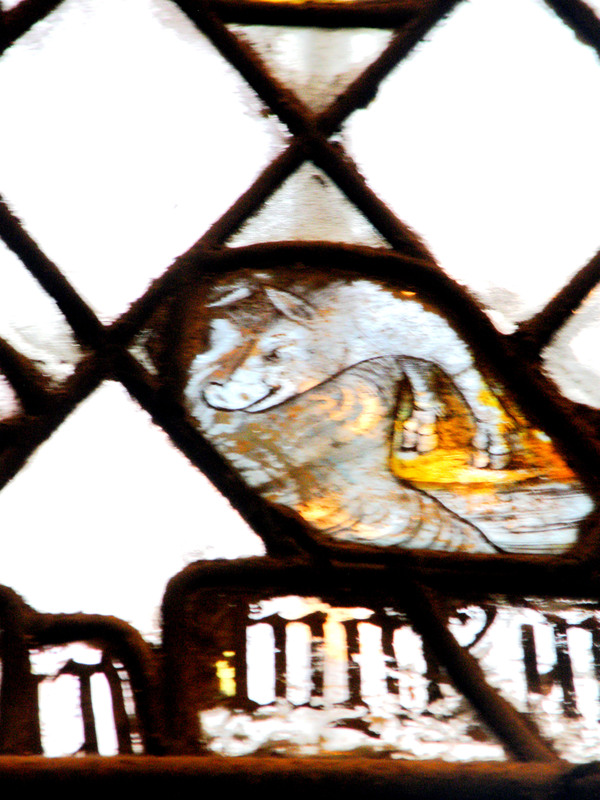 Although the original Doom/Day of Judgement scene in Richard’s window is no longer visible, the glass having been scattered in fragments throughout the other windows of the priory, it is still possible, if one knows where to look, to pick out Richard’s white boar, his arms with two very damaged boar supports, and Anne’s arms with two bear supports. After visiting, I wondered what Richard’s connection with the town might be, and soon learned he was in fact Lord of Malvern Chase, a wide, forested area stretching from the Malvern Hills to the Severn in Worcestershire to the banks of the Teme in Herefordshire. These lands came to him through Anne’s inheritance. Although it is not certain if/when he actually visited the town, he must have thought it important enough to commission such a large and no doubt costly window in the priory. It was nice to theorize about potential journeys by Richard and Anne to this beautiful, hilly area, still retaining its old Celtic name Moel Bryn, the Bald or Bare Hill—perhaps to hunt in the Chase, or visit one of the several holy wells in the area, Holywell (which was on Richard’s manor of Hanley) or St Ann’s Well. The oratory of the martyred St Werstan is thought to have been located near the latter and later incorporated into a now-vanished chapel, St Michael’s. When a cottage was demolished near this site last century, a medieval undercroft, broken coffin and human bones were found. One of the stunning 15th C windows in Great Malvern Priory depicts the story of St. Werstan and his martyrdom. St Ann’s Well was also particularly well known in the 15th century as a healing well, which might have been of interest to the Duke of Gloucester and his wife. There was also the Eye Well and the Hay Well, and probably others in the area . Just down the road from Great Malvern is another place that might have been of some poignancy to Anne. This is Little Malvern Priory, thought by many to be the ‘poor religious house’ where Margaret of Anjou fled with Anne after the Lancastrian defeat at the Battle of Tewkesbury. It also has some fine 15thc glass of Edward IV and his family. 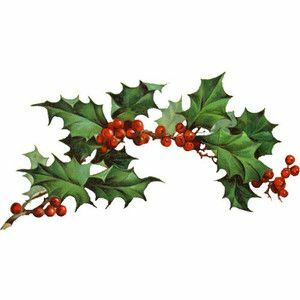 The first Ricardian song for Christmas ….? The setting of the song: It was the year 1477, at the season of Christmas, that Richard, most royal of princes, bent his knee unto King Edward’s unworthy Woodville queen at Westminster. Such festive celebrations were all around as Richard of Gloucester made obeisance to a woman he would one day learn was not the queen at all. The queen feared he would discover that Edward, the brother he served so constantly, had committed bigamy. But that unveiling of the truth was in the future, and Richard knelt. For gifts he would later reveal. Snow covered the filth in the street. The Duke his barge he did seek. Richard handed his bargeman the gift. Richard Gloucester deep in thought. True feelings they were concealed. And the lord of misrule kept dancing. 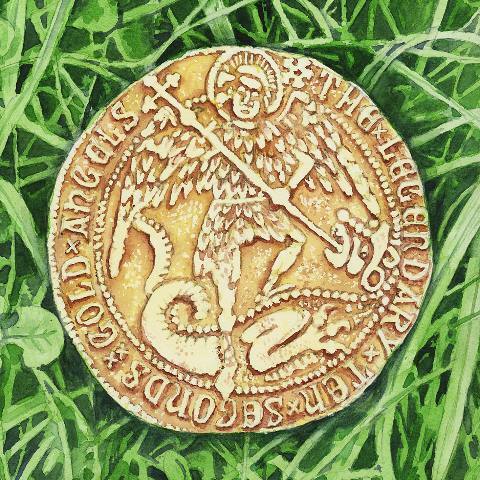 THIS SONG IS BY THE LEGENDARY TEN SECONDS, WHOSE MUSIC IS ALL ABOUT KING RICHARD III. CONGRATULATIONS TO THEM FOR THIS WONDERFUL SEASONAL PIECE. Hear and buy it at Amazon and cdbaby. To Play the Man, The story of Lady Derby and the siege of Lathom House, 1643-1645, by Colin Pilkington pp.32-33. Carnegie Publishing 1991. How ironic, given that Charles I would not have been king, or indeed even have existed, but for that Stanley treachery at Bosworth. James Stanley, Earl of Derby, remained a loyal if somewhat ineffective supporter of the royalist cause. He was eventually executed in 1651 because of his involvement in the massacre at Bolton in 1644 – a massacre which (unlike certain others in the Civil War) is now largely and conveniently forgotten. The Stanleys’ principal home Lathom House, was destroyed after its eventual capture, and never rebuilt.